I love plants. I love buying them, arranging them, looking after them and I’m always one the hunt for my next one. Since coming to university three years ago, I’ve slowly been adding to my collection and this summer has seen me take it to new heights. I have all the plans and all the ideas. 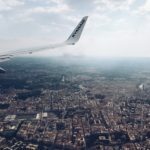 Now I’m back from Italy I’m planning on making a herb garden with a long planter and since my success with the hanging planter, I plan on purchasing some hooks and making a tonne more hanging planters. My room is not the most Instagrammable thanks to the magnolia walls/the brown carpet and the black detestable furniture. I want to make it as ‘me’ as possible and adding plants is one way to do this. 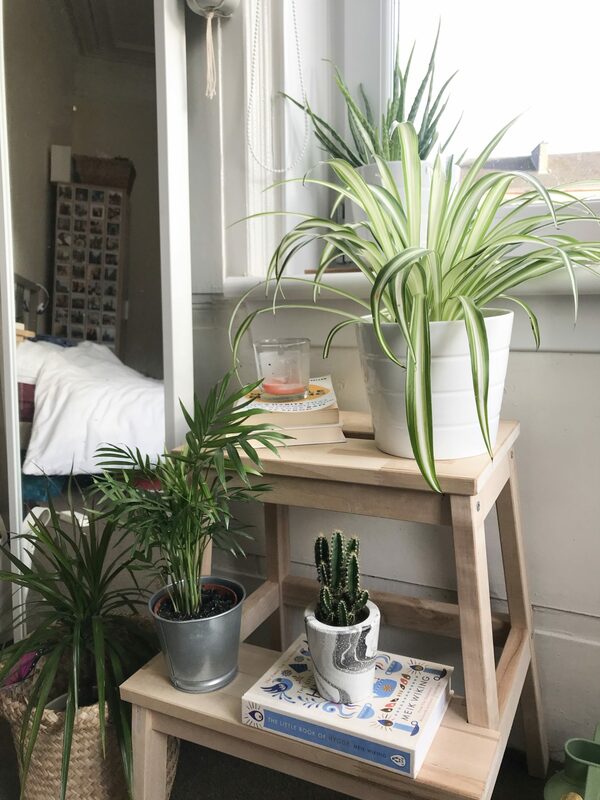 So I’ve made my perfect plant corner and I’m already know what green friends I want to buy next. 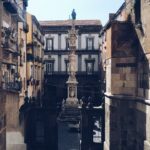 My room is vast and I want every area to look beautiful – but that is going to happen overnight. Start my planning out one area and channelling all your efforts into that. Concentrating on just one area will help you get it finished quicker and not having lots of unfinished bits spread around the room. I went with the window area as it is the section of my room least blighted by ugly af Ikea furniture. 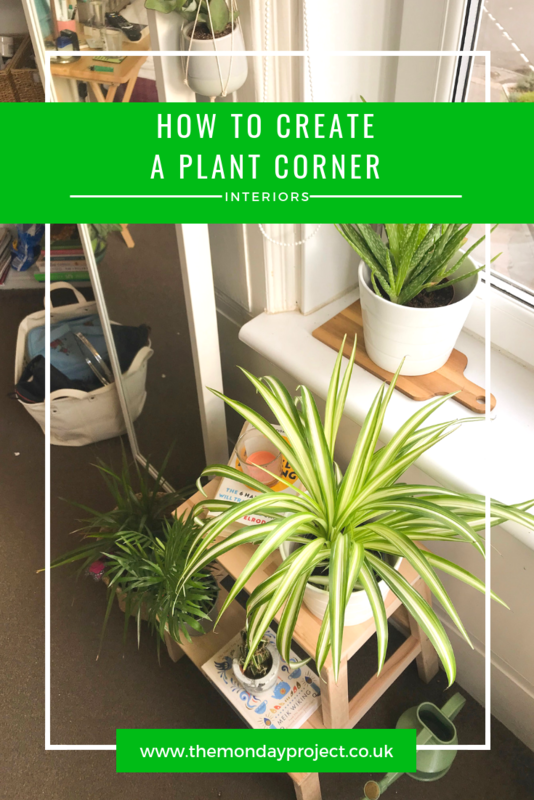 It can be super hard to create a plant corner if you only have a couple of plants. I find buying bigger plants in the city difficult as they are a) expensive and b) tricky to get home. I’ve collected my plants over a period of two years which allowed me to play with both size and scale when curating my plant corner. I’ve worked with both tiny succulents and cacti to larger aloe vera and even larger ones such as the dragon tree and spider plants. It creates more of a jungle atmosphere if you have a mix of plants in different sizes and colours. I usually shop for plants at Lidl, Ikea and my local garden centre in the Scottish Borders when I visit my parents. Shopping for new plant pots might be my new favourite thing. 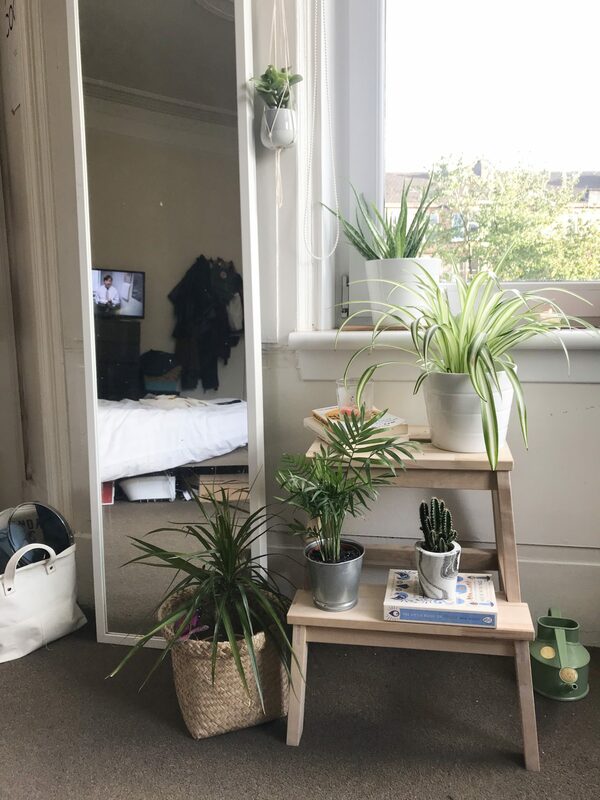 To prevent things from looking boring and uniform, I have a mix of different pots including a metal tin plant pot from Ikea, marble effect concrete from Urban Outfitters and a large basket that a plant sits in from H&M Home. 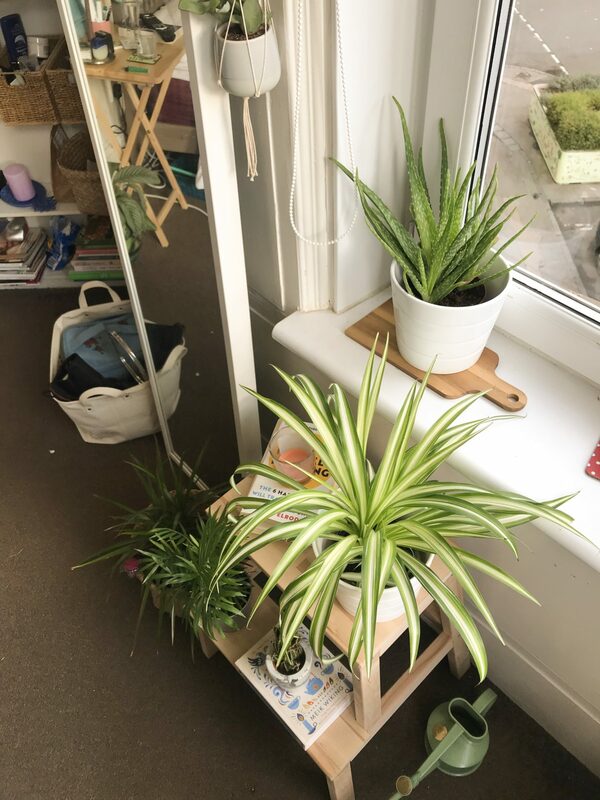 I love the versatility it adds to the corner and who needs an excuse to buy another basket for a plant to sit in? I had been adding things to the plant windows since I moved into this room in early June. But it never felt right and that it clicked together properly until I bought the step. It was exactly what was missing! I love how it adds depth to the plant corner and makes it feel more permanent. Adding books and candles is something I always do as well to make it feel homely and a bit of me. I also keep a my small green watering can next to the step as it fits in with the colour theme and thank you a hundred times to my lovely mother for buying to for me. 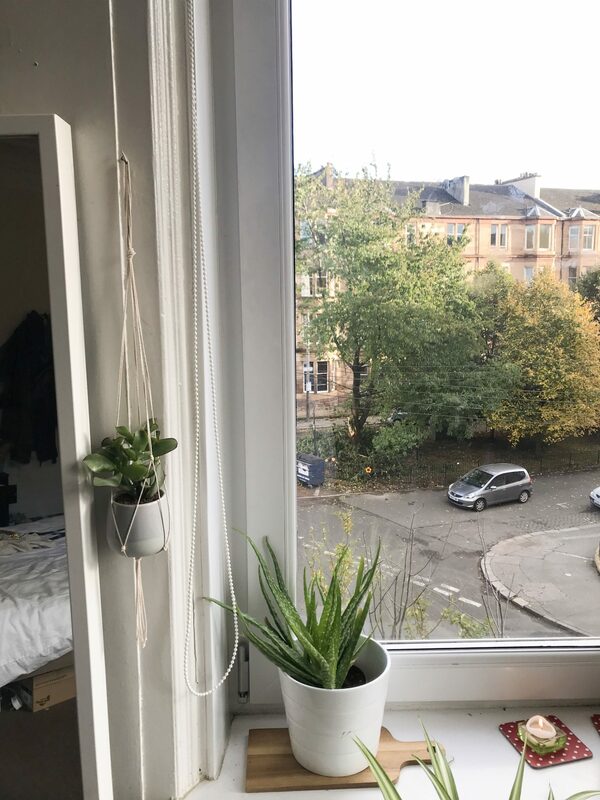 To make the plant corner that little bit more exciting and as Pinterest as I could manage with brown carpets, I made my own macramé. It was super simple, I got my string from B&M Bargains and followed a tutorial from Luke Catleugh.